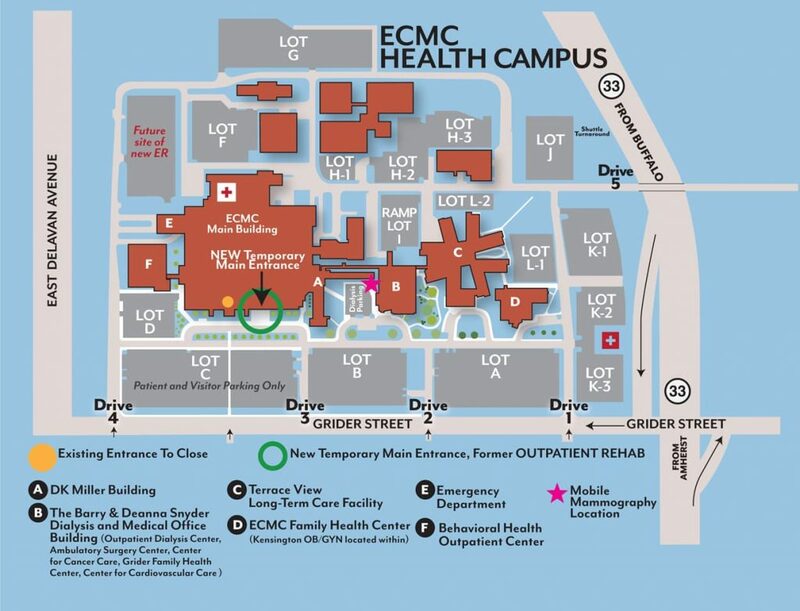 BUFFALO, NEW YORK— Erie County Medical Center Corporation (ECMCC) today announced that construction of the new main hospital entrance and the Russell J. Salvatore Atrium will begin at 6:00am tomorrow morning (11/13/18) with the switchover to a temporary hospital entrance just a few hundred feet north of the current entrance (see attached map). Gilbane Building Company is the project general contractor and Clark Patterson Lee is the project architect. 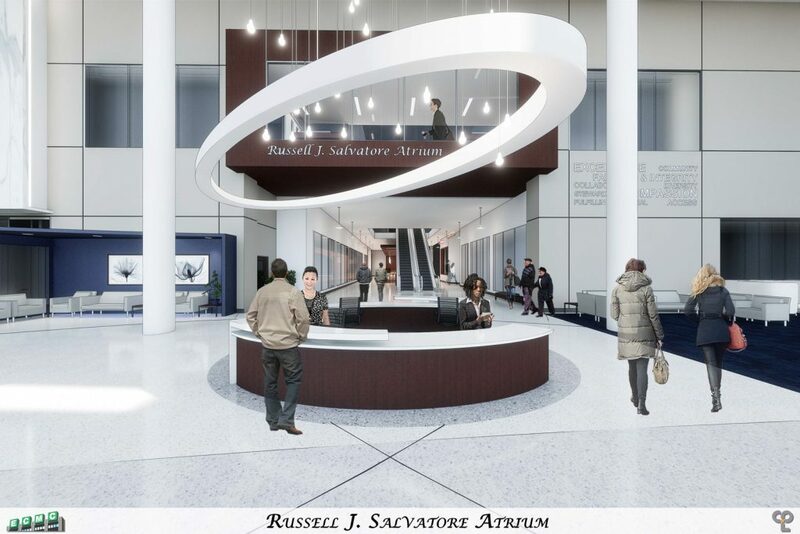 ECMC announced in 2017 that the new entrance area would be named for the beloved Buffalo restaurateur and philanthropist Russell J. Salvatore who had generously donated $1 million to the hospital’s capital campaign. To date, thanks to Mr. Salvatore’s and other very generous contributions, ECMC has raised over $9.5 million for its capital campaign, which will lead to the building of a new state-of-the-art Trauma Center and Emergency Department, as well as other capital improvements at the hospital, including the main entrance/lobby. In July 2014, Mr. Salvatore donated $500,000 that led to the opening of the Russell J. Salvatore Orthopaedic Unit in 2015 on the sixth floor of ECMC. He had also previously in 2012 donated $250,000 to upgrade televisions in patient rooms. ECMC’s new Trauma Center/Emergency Department will address an important community need by expanding the health care delivery system’s capacity to serve patients that require emergency medical attention, serving as a referral source for other area hospitals to transfer patients that require specialized emergency care, advancing ECMC’s engagement and investment in the City of Buffalo’s Delevan-Grider Corridor, and building on ECMC’s growing and dynamic relationship with the Kaleida Health System and the UB Jacobs School of Medicine and Biomedical Sciences. Anyone wishing to support ECMC’s lifesaving care and make contributions to the capital campaign can visit: supportecmctrauma.org/donate. ABOUT ERIE COUNTY MEDICAL CENTER (ECMC) CORPORATION: The ECMC Corporation was established as a New York State Public Benefit Corporation and since 2004 has included an advanced academic medical center with 573 inpatient beds, on- and off-campus health centers, more than 30 outpatient specialty care services and Terrace View, a 390-bed long-term care facility. 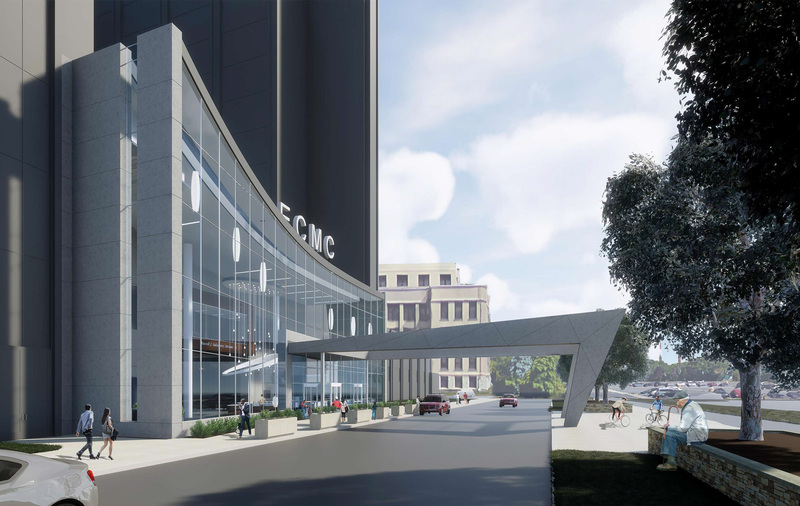 ECMC is Western New York’s only Level 1 Adult Trauma Center, as well as a regional center for burn care, behavioral health services, transplantation, medical oncology and head & neck cancer care, rehabilitation and a major teaching facility for the University at Buffalo. Most ECMC physicians, dentists and pharmacists are dedicated faculty members of the university and/or members of a private practice plan. More Western New York residents are choosing ECMC for exceptional patient care and patient experiences—the difference between healthcare and true care™.